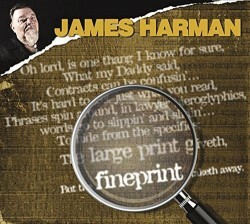 James Harman just released a brand-new album on the Electro-Fi label called fineprint. If you examine the fine print of this March 16th release you will realize that James Harman understands what makes a great album. You remember photo albums. Photos were special and they begged to be preserved in a grouping of other photos that fit into a general category. By being arranged in an album, the images not only could stand on their own, they might complement one another, making the presentation create its own theme or even a mood. I happen to think songs are special and deserve the same treatment. Although I’ve never asked him, I believe that James Harman feels the same way. As Harman points out in the liner notes, “…it is not a recording of tracks all done in the same time period by one set of players.” This is fine by me as nobody, it seems, has more great songs recorded and waiting for the right mood, the right context and the right album than James Harman. Harman goes on to explain that these are a collection of songs that he likes hearing together. On fineprint, thirteen Harman originals are put on display in this fine album by one of the true modern masters of the blues genre. Many of the tracks were laid down at Nathan James’ Sacred Cat Recording studio. Harman, along with Nathan, co-produced the album. The album was also mixed at Nathan’s Oceanside, California, studio. He is a long time Harman side man, and a star in his own right, who also plays guitar on several tracks. His contributions here are indispensable. Various other tracks, which go back a few years, were recorded at Joe Bellamy’s Peace in the Valley studios in the San Fernando Valley section of Los Angeles. On these tunes it is the late Jerry Hall who is the recording engineer. Hall was a long time Harman co-conspirator as he produced several great Harman albums going back a few decades now. What is important here is that the man behind the console isn’t the star, in the sense that the focus is where it is supposed to be, on the musicians. These recordings, wherever and whenever they were made, are seamlessly woven together in a tapestry of sound that is as intoxicating as it is fun. 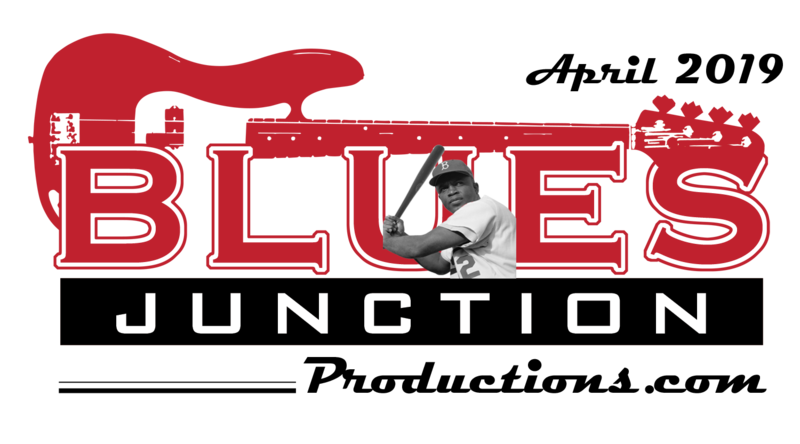 It is earthy, raw and celebratory all at the same time, in other words…exactly what the blues is supposed to sound like. The patented Harman wit and wordplay are in full effect here, yet even that aspect of the album doesn’t overwhelm the groove and the great musicians. They seem to all work in service of the almighty deity, which is the song itself, and these cats have some real gems on which to ply their trade. There are many examples of great songcraft to point out, but for me the song Memory Foam Mattress is perhaps the most memorable. With the opening line, ‘I sold my memory foam mattress/because it held too many memories of you,’ I am struck with the thought, why didn’t someone think of this before? It doesn’t matter I suppose. They didn’t and thank goodness someone did and that someone was James Harman who knows how to harness an idea like this one and use it for the common good. It doesn’t get much better than being treated to a slight chuckle while dancing. Harman closes the album out with the song Ticket to the Circus. Here Harman revisits a familiar theme…the clown. Here he sings, ‘I bought ticket to the circus/found out I was the clown.’ It is this kind of self-deprecating humor that goes a long way towards making fineprint such a joy. The album fineprint receives my highest recommendation and is an early contender for the 2018 BLUES JUNCTION Productions’ Album of the Year.